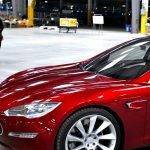 According to a report by Reuters, citing job postings on Tesla Inc’s (TSLA) website, the electric vehicle maker has begun hiring for its $2 billion facility in Shanghai. The news came a month after Tesla inked agreements with Chinese authorities for the project, which is to be financed with local debt. Tesla shares closed higher for the fourth time in the past nine trading sessions on NASDAQ on Tuesday. The stock went up 10.99% ($37.58) to $379.57, after touching an intraday high at $387.46, or a price level not seen since September 18th 2017 ($389.61). 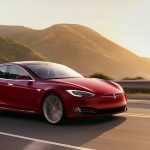 Shares of Tesla Inc have risen 21.91% so far in 2018 compared with a 16.67% gain for the underlying index, Nasdaq 100 (NDX). In 2017, Tesla’s stock surged 45.70%, thus, it again outperformed the Nasdaq 100, which registered a 31.52% return. The US auto maker has posted 14 vacant positions, among which are roles such as senior finance manager and architectural designer. The majority of job postings are senior-level roles, which require at least 6 years of relevant experience, the report stated. 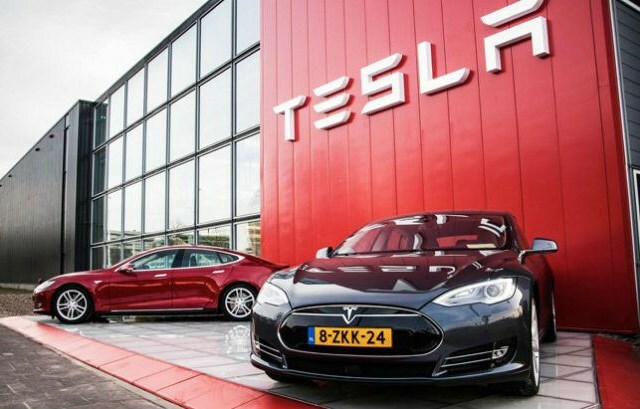 In July, Tesla inked agreements with Shanghai authorities regarding the construction of its first facility outside the United States, which is expected to help the company increase the scale of its global manufacturing twofold. 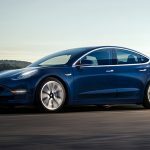 Tesla aims to manufacture the first vehicles at the new factory about 2 years after the construction process is initiated. The company also expects to reach a production capacity of about 500 000 vehicles annually 2-3 years later. According to CNN Money, the 23 analysts, offering 12-month forecasts regarding Tesla Inc’s stock price, have a median target of $287.00, with a high estimate of $530.00 and a low estimate of $179.00. The median estimate represents a 24.39% downside compared to the closing price of $379.57 on August 7th. The same media also reported that 8 out of 26 surveyed investment analysts had rated Tesla Inc’s stock as “Hold”, while 7 – as “Buy”. On the other hand, 7 analysts had recommended selling the stock.